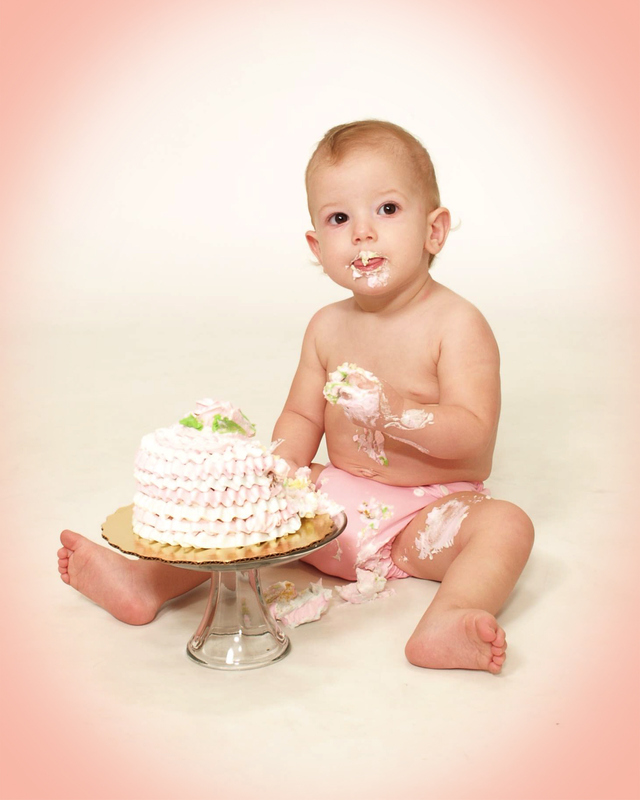 A special part of a first birthday is the first taste of cake. I think I was really excited because we have been so reserved with the foods we have let her eat (no french fries, etc) that I was excited to treat her to something sweet. 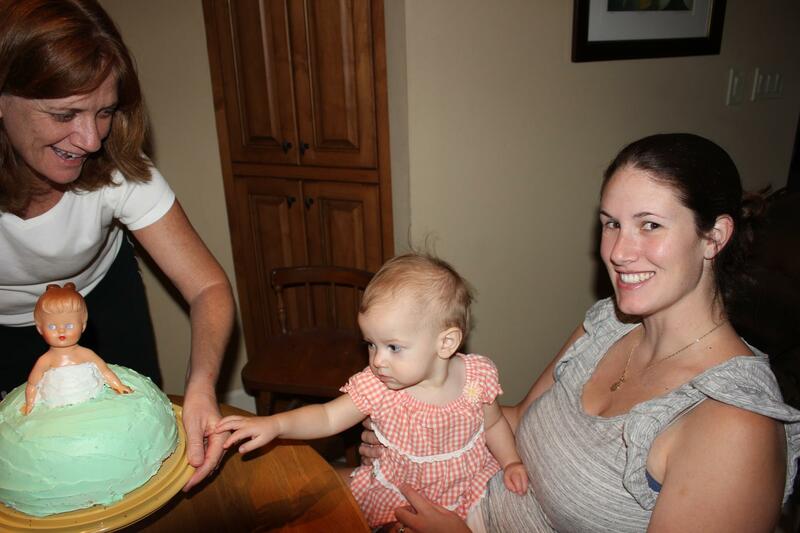 DJ went to visit GiGi and JaJa a few weeks before her birthday and they made her a traditional angel food doll cake. This was so special because this doll has been used for all of my birthdays and many more before me. Unfortunately at this visit, DJ was very ill and she wasn’t able to eat any of the cake but she did enjoy looking at the doll! When she was feeling better, we went back to the mall and had one year old pictures taken. We stopped at Publix to pick up a small cake and they had the perfect one there. Since we knew it was going to be a mess, we let you eat in just a diaper. First she wanted to touch the flower on top, but it got her fingers messy! We told her she could “eat” the cake and she decided it tasted pretty yummy! Then we found that it was fun to dig into the cake! 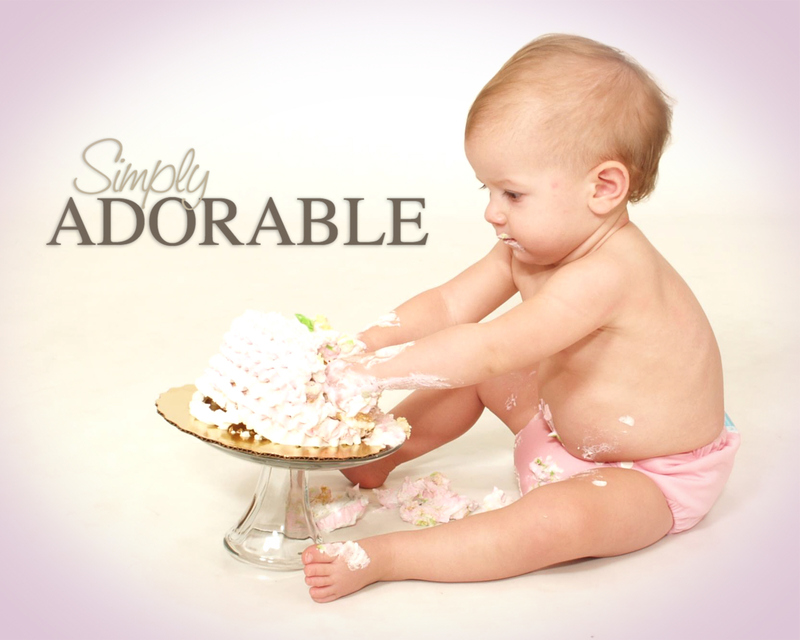 After seeing how cute these photos turned out, I was so excited to see how the actual first birthday party would go. We had special cup cakes for the party and a big one just for you. You ended up not wanting to each much of this one but loved the singing and watching the candle! 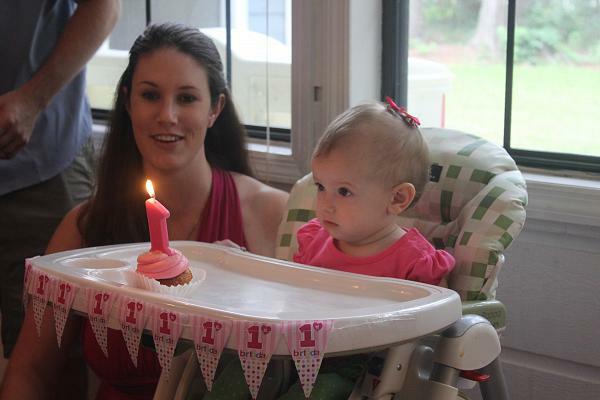 First Birthday – Almost One. I’m a bit sentimental this week because in a few days my baby turns one. We were off visiting GiGi and Jaja this weekend and she got the Rotavirus and decided we needed to spend a few extra days down there recovering. As much as I hated to see her sick, it was nice to have a cuddly sweet baby again. When we got home and she was felling better, we went to the mall to get a few one year old pictures taken. I am so happy that we decided to capture her at this age. She is just so sweet and so much fun. After we did these pictures we also did a few pictures with a first birthday cake which I will add soon. We are also very busy preparing for her first birthday party. We have most of J’s family coming and some of our best local friends. I feel a bit behind on the planning since we have spent a lot of time sick in the month of July (Josh for a week and now DJ). I am trying to work on setting up everything and decorating the back porch in the evenings. Everything I am working on, you want to play with though so progress is slow. I’m sure it will be a wonderful party though and we will share lots of pictures.